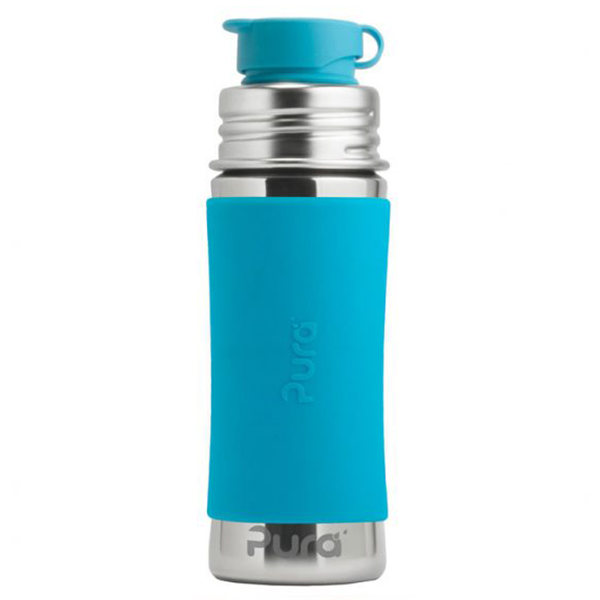 Pura’s Sport 11oz stainless steel bottle is ideal for your little one to take to school, on adventures or outings, as well as perfect for adults who prefer a smaller 11oz (325ml) size bottle. 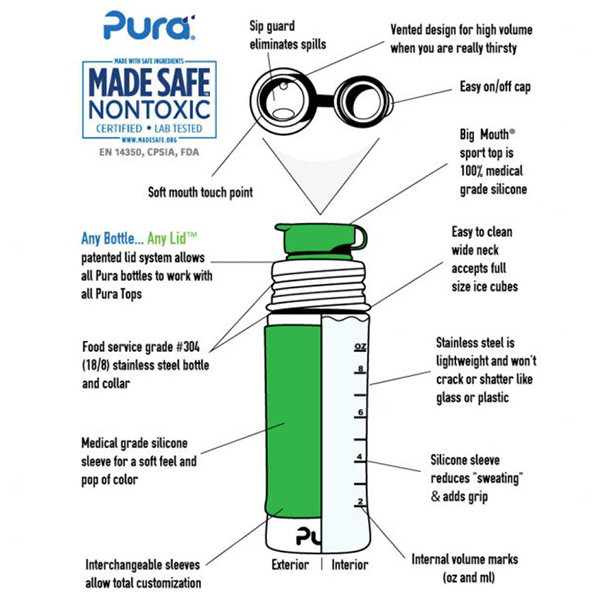 It is lightweight and made from safe, high grade, anti-bacterial, #304 stainless steel, and unlike other children’s stainless steel bottles that use plastic tops, Pura’s Big Mouth® Sport top is made from 100% medical grade silicone, so you can be sure that you are truly using a 100% NonToxic Certified drinks bottle (BPA/BPS-free). The silicone sleeve makes handling the bottle so much easier and it doesn’t even needed to be taken off to wash it up. 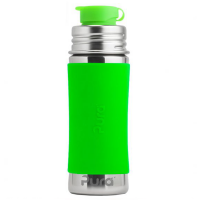 The bottle has a large opening for easy pouring and filling and is dishwasher safe. The bottles can convert into a sippy cup, straw bottle, snack container or infant bottle by simply changing the lid. Pura bottles are the only 100% plastic-free bottle on the market and the only NonToxic Certified bottles on the planet. Baby Grows...Bottle Evolves™: This bottle easily converts into an infant bottle, sippy bottle or straw bottle by simply swapping the lid for another Pura silicone lid. 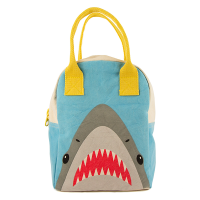 The single wall construction is light weight, dishwasher safe, and shatter-proof. 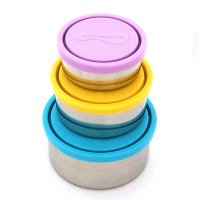 BPA/BPS-free and will not leach toxins like plastic sport tops, bottles, or lids. Bottle and collar crafted from safe, anti-bacterial, #304 stainless steel. Pura Silicone Big Mouth® sport top crafted from 100% medical grade silicone. 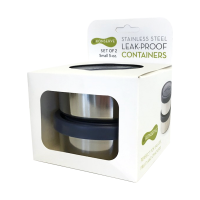 Leak proof, plastic free and dishwasher safe - overall, a great bottle! 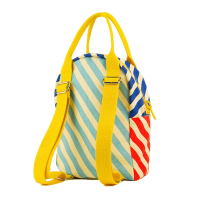 It's great, although I wish I'd have checked the sizes more carefully as I might have bought a larger size for my 4 yr old. Brilliant that you can buy replacement tops as this is usually the part that wears first.